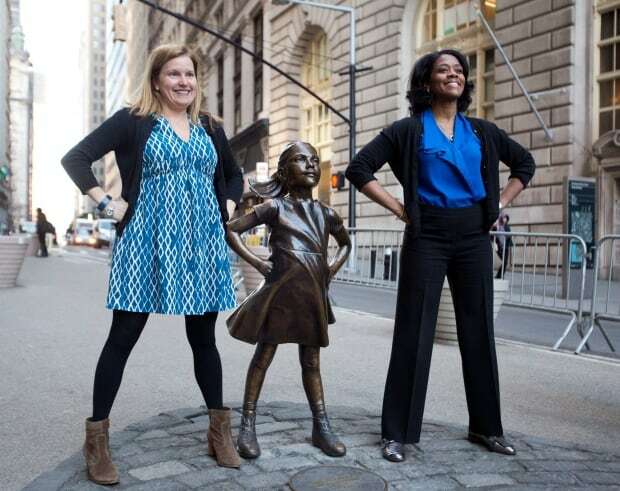 Can the “Fearless Girl” Stand on Her Own? As a PR stunt—advertising disguised as an idealistic political message—a Wall Street investment firm hawking a “Gender Diversity Index” placed a statue of a young girl in front of the famous Wall Street statue of a charging bull. It was put there on International Women’s Day, you see, and it was taken as a symbol of female “empowerment.” Which just happens to coincide with what they were selling. 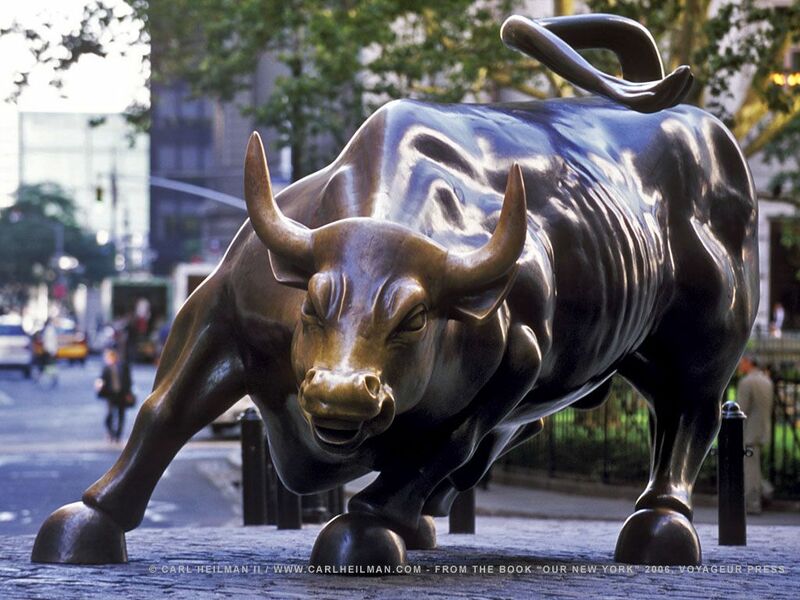 The problem is that the original sculpture, “Charging Bull,” was already someone else’s artistic statement. It was created by Italian artist Arturo Di Modica after the stock market crash of 1987 as a representation of his adopted country’s vitality and resilience. Di Modica placed it in front of the New York Stock Exchange in secret overnight, and it was received so well that it was eventually given a permit and a permanent location in the Financial District. This is what happens when art becomes just about politics. In The Painted Word, Tom Wolfe memorably described how 20th Century art became less and less about the painting itself, which is usually indistinguishable to the layman from every other smear of paint on a canvas—if I put you on the spot, could you tell one Jackson Pollack from another?—and came to be more about the theory behind the art. Wolfe joked that in the future, museums would splash up on their walls the writings of the art critics and theorists, with the paintings reproduced on tiny little plaques as mere footnotes. This is why if you’ve read a highbrow art review in a newspaper or magazine any time in the last 50 years or so, you’ve probably found it deadly boring, because every work of art is a “commentary” on some esoteric issue only known to a select few in the insular little community of the art world but meaning nothing to anyone outside it. The key thing about art that is all about the theory and the message and the outer context is that it doesn’t have much meaning on its own. So if we look closely at the “Fearless Girl,” we don’t quite get the message we’re supposed to be getting. She isn’t standing with fierce determination to take on the bull, she is in a completely static position. From the back, there is no tension in her shoulders, in her arms, or in her wrists—all the things we should see if she were fearless. Her feet are flat, her knees are locked, fixed into place and not ready for action, with her body cantilevered unnaturally forward. Her face is unemotional and placid rather than fierce, and her gaze is not fixed on a determined goal, but more as if she is dreamily watching the clouds drift by. This sculpture is meant to express fierceness and strength, but there is not a clenched muscle to be found and no sense of motion or readiness for action. Online you can find photos of girls standing next to the sculpture trying to strike their own fierce poses—and every single one of them seems livelier than the statue itself. You can also find photos of grown women standing next to the sculpture striking exactly the same pose—and looking not fierce at all, like they’re out on a lark taking vacation selfies. And notice that the only physical movement or potential for movement in this sculpture comes from the outside: the wind blowing her hair and her dress, as if it is coming from the snort of the bull. Speaking of which, Di Modica’s sculpture is also highly stylized, but there’s more sense of motion and life in a single inch of the bull, more of an honest and competent observation of nature, than in the little girl’s entire body. This is, unintentionally, a representation of contemporary feminism in general: a loud message about female “empowerment,” but underneath it the actual assumption that women, the poor dears, are weak and can’t be expected to stand on their own. In this kind of poster board feminism, “empowerment” doesn’t mean gaining competence and earning respect by showing you know what you’re doing. It means screaming and protesting and making accusations and threatening lawsuits and generally throwing a temper tantrum until you get your way. And that is unintentionally symbolized in the way that “Fearless Girl” exists only as a kind of protest or negation of Di Modica’s bull. It has little meaning on its own but depends instead on destroying the meaning of somebody’s else’s work of art. But Di Modica has an obvious recourse. Perhaps he should take back his gift to the city of New York the same way he gave it. It would certainly be revealing if the bull disappeared suddenly, pulled up and carted off in the night—and we got to see how much “Fearless Girl” means when she has to stand on her own. Sherri Tracinski is an architect and architectural historian based in Charlottesville, Virginia, and the mother of two boys.